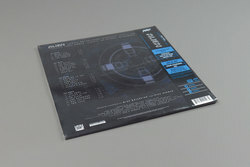 Jerry Goldsmith - Alien (Original Motion Picture Soundtrack). Vinyl LP. Bleep. 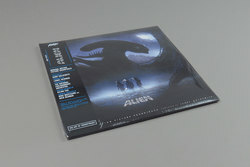 Jerry Goldsmith’s groundbreaking score for Alien comes back to vinyl courtesy of the cinephiles at MONDO. Even though parts of Goldsmith’s work for the 1979 film have become some of the most iconic pieces of music ever composed for the big screen, it’s worth revisiting his score to remember just how inventive, stirring and downright scary this piece is. Goldsmith’s combination of the microtonal strings from 2001: A Space Odyssey with John Williams’ swashbuckling melodies was, and remains, a stroke of genius.